FCC votes 3-2 in favor of proposal to open cable boxes to third parties. 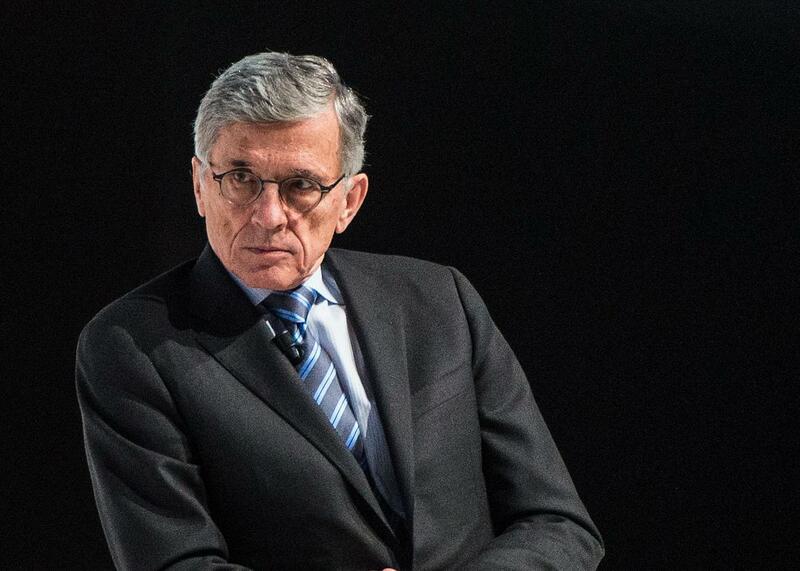 FCC chairman Tom Wheeler at Mobile World Congress 2015 in Barcelona, Spain. If you’re sick of shelling out every month to rent your cable box, change may finally be coming. The Federal Communications Commission approved a Notice of Proposed Rulemaking, or NPRM, on Thursday that would allow third-party manufacturers to make set-top boxes that deliver cable television. The proposal also requires cable and satellite companies to make their content available for these alternative boxes. Currently, there is a small amount of leeway for third parties to make set-top boxes, but, to protect a $19-billion industry, cable companies have made it difficult to make or use these alternatives. According to a July Senate study, more than 99 percent of cable customers in the United States currently rent a box from their cable company for $231 per year on average. The idea of the FCC proposal is that third-party devices like Nexus Players or Apple TVs could eventually provide cable alongside other streaming apps and Internet services. You can see why the cable industry isn’t keen on this change. Opening the market could drive down cable box prices and push cable companies to spend money improving their set-top tech. The NPRM, which was approved by a 3–2 decision (three Democrats in favor, two Republicans opposed), will now enter an open comment period, revisions, and ultimately a final vote. The proposal has been fiercely criticized by the cable lobby, which says it will stifle innovation in the industry and favor outside groups. But FCC Chairman Tom Wheeler, who proposed the new framework, has consistently pushed back against these ideas. Nothing in this item requires a second box in the home. There is nothing in here that allows third parties to disaggregate cable content or sell advertising around it … It takes the same system that goes to the cable box today with the same structures and moves it through a different box requiring the same structures. As a result, existing copyrights and programming agreements are unaffected, consumer privacy is protected, emergency alerts are passed through and child protection laws are unaffected. Nothing in this proposal slows down or stops cable innovation. Many U.S. customers have little or no choice in where they get cable and broadband from, and many cable companies have their networks in regions where they function as natural monopolies. Even when there is choice, the companies tend to provide similar services, pricing, and quality. The cable box proposal is part of a larger FCC goal to stimulate competition in the gridlocked industry. More choice and fewer equipment rental fees would be a good start.